Seventy years of service is in the books. Norma Rynearson was honored for her service to the Prairie City American Legion Unit 106 Auxiliary, which she joined shortly after World War II. About 50 well-wishers joined Rynearson for a Sept. 9 party at Valley View Assisted Living where she resides. It was also the guest of honor’s birthday. Auxiliary secretary/treasurer Pam Howard attended the party and placed the pin on Rynearson’s blouse. Howard said Rynearson has been “active her whole life” in the community and with the organization. Rynearson, a long-time resident of Prairie City, married her late husband Floyd in December of 1946 when he returned from service in the U.S. Army during WWII. He joined the American Legion, and she, at age 17, joined the American Legion Auxiliary. Norma said she’s enjoyed her involvement in the organization and has held every position at the local level. “It has been a very important part of my life,” she said. 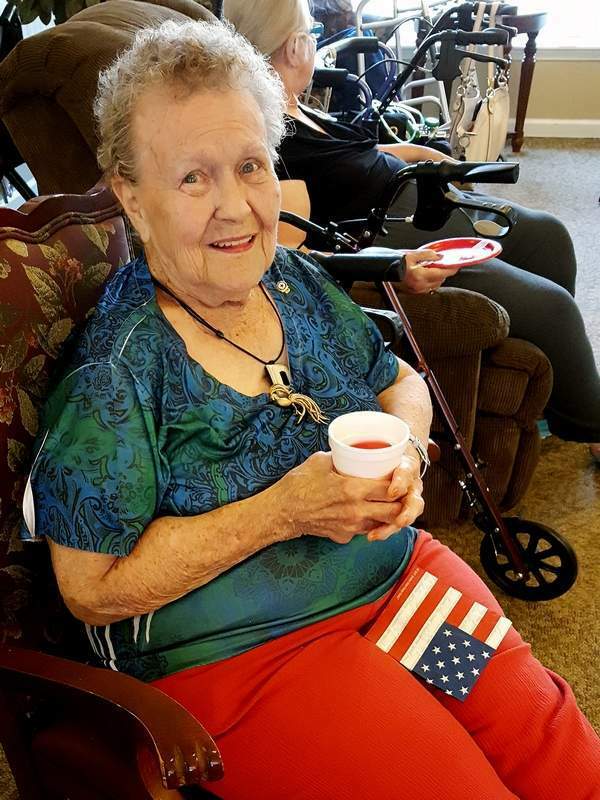 Over the years, she has helped provide veterans with comfort items such as slippers and afghans, helped young ladies attend Girls State and has also kept a history of the auxiliary, among other duties.